Something weird was going on with my Mac a few months back. I called support and they fixed my problem. It took a while, but the technician was fabulous. I was extremely impressed. Not impressed enough to Tweet about it, but impressed. A few days after that Apple emailed me a customer service survey. I usually ignore these things. I’m too busy, I work in marketing research, I have 8 million other emails to read etc. But this one I kept, fully intending to take the survey. From a research perspective, it was a perfect survey: short and extremely well written. The best part, was the second page. See the graphic to the right. How perfect. How international. How reflective of their customer base. If you think about your experiences, it’s often the little things that make the difference. 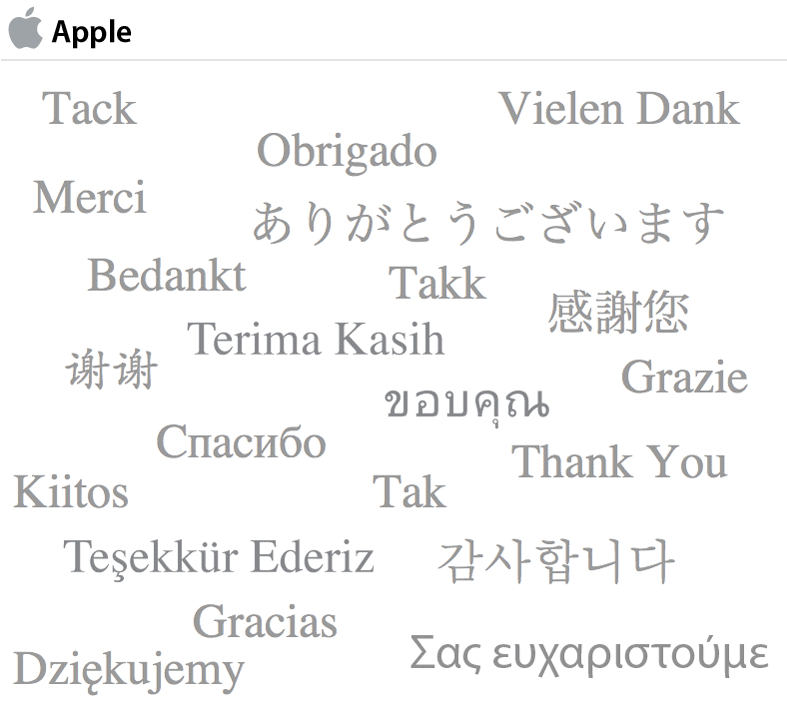 Would I have been disappointed had they not said “thank you” in multiple languages? No, of course not, but I was wowed that they did. For such a simple part of the customer touch-point stream, it made a big difference. What small act made an impact on you?